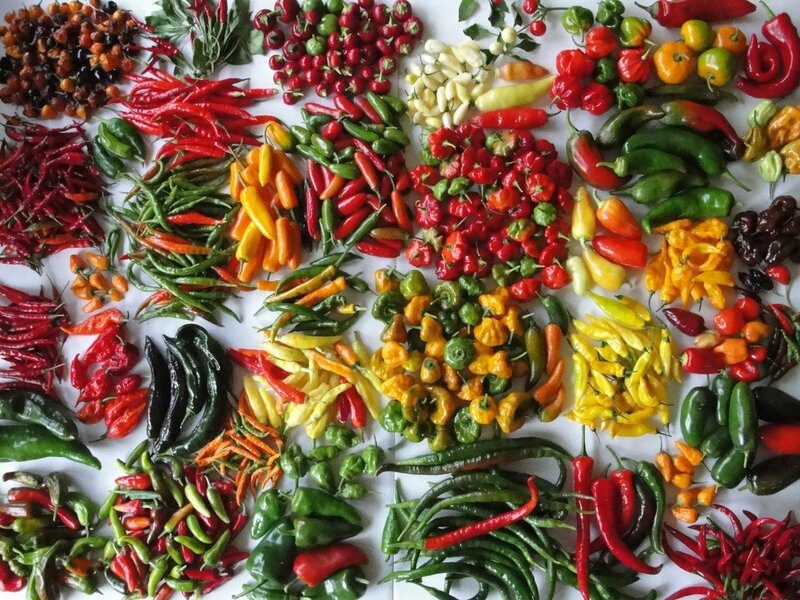 This type also known as Tree Pepper,�is a Peruvian heirloom that is a uniquely beautiful pepper. Requires cooler temperatures overall�(its natural habitat is the Andes Mountains so it can survive light frosts but not hard freezes)�so it is best grown in pots, though it likes a warm and sunny position. In parts of South America they are referred to "el mas picante de los picantes" or "the hottest of the hot." Purple flowers and hairs all over the foliage make this plant quite a looker, even has black seeds! Peppers have a unique apricot-green apple like flavor and smell and the yellow are supposedly the hottest of all the rocoto varieties. 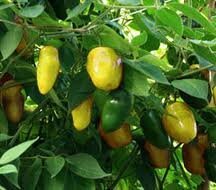 This variety will produce more fruit if grown near another rocoto such as the red or orange variety, therefore I recommend you to purchase another rocoto type and grow them side to side in your garden for best results.